After Developers preview, windows 8 beta will be released. It is expected that beta will be released around March 2012. The final version of windows 8 will be released after windows 8 beta. 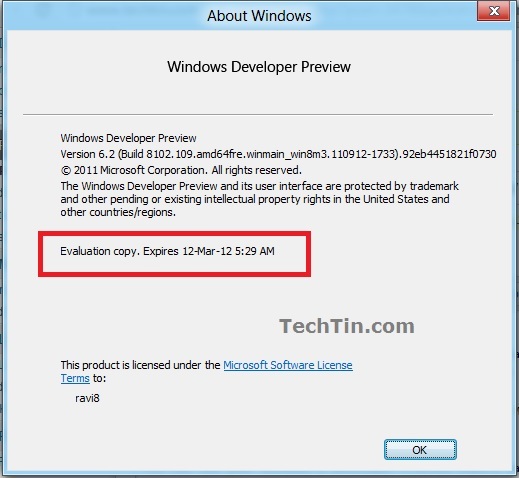 The expiry date of windows 8 Developer Preview is 12 March 2012. After this date windows 8 Developer Preview wil not work.